Admission is free. Food and drink will be available for purchase. Due to inclement weather, The Historic New Orleans Collection's block party celebration has been postponed to Saturday, May 18, when we will celebrate International Museum Day. Musical acts and food vendors will be announced at a later date. 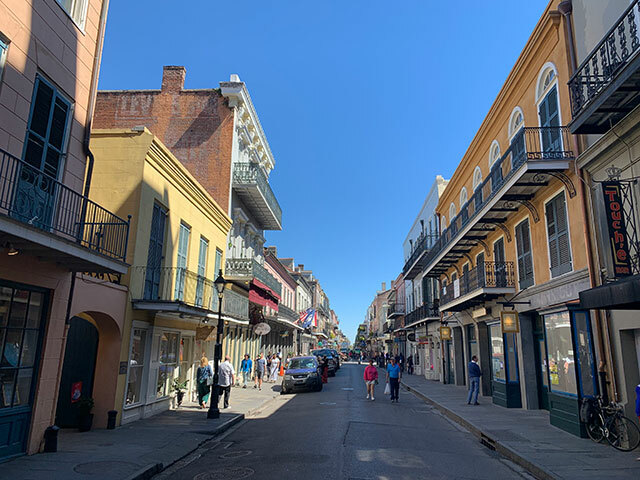 THNOC’s first major exhibition at 520 Royal Street, Art of the City: Postmodern to Post-Katrina, presented by The Helis Foundation, will be open, as well as a permanent exhibition on the history of the French Quarter. Visitors will be able to engage with the center’s dynamic digital interactive displays and hands-on educational space for all ages, watch performances by a fully restored Aeolian pipe organ, and visit the larger footprint for THNOC’s museum shop. THNOC’s original location at 533 Royal Street will also be open, where visitors can tour the Louisiana History Galleries free of charge. Admission to both THNOC’s sites and the block party is free, and registration is not required. The new exhibition center was made possible in part through generous donations from the institution’s local, national, and international supporters. The block party is made possible with major support from JPMorgan Chase & Co. and additional support from Waggonner and Ball.